We are happy to announce that we will soon release the third studio album of the Maltese doom metal masters NOMAD SON. "The Darkening" will see the light of day on August 30th and will bring high-octane traditional doom metal combined with '70s hard rock and classic heavy metal. Those who associate doom only with slow tempos may be in for a surprise a few times listening to this album. But those who are familiar with the band know what they can expect: recognizable style with versatility of moods and tempos, unique vocals and ominous soundscapes created by Hammonds. You can find more info about "The Darkening" and see the high-res cover on the page of this release. 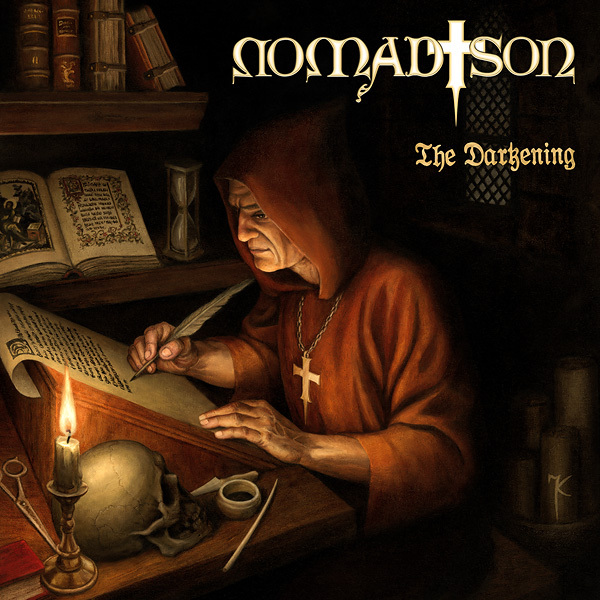 Until August 30th you can pre-order NOMAD SON "The Darkening" CD with 2 Euro discount from our SHOP page. 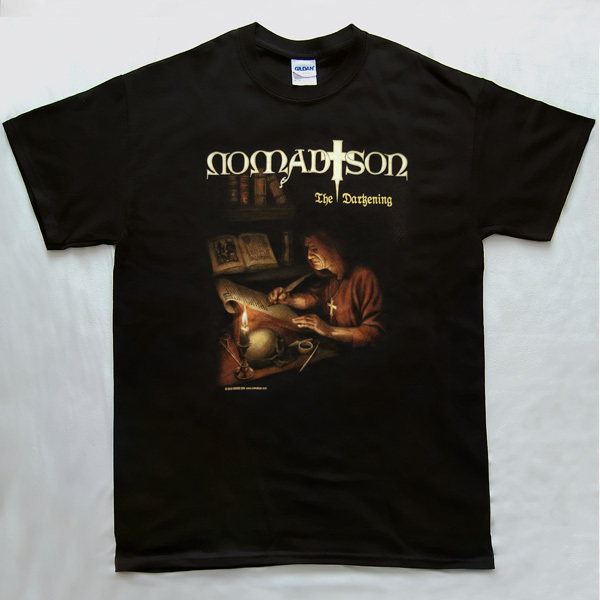 The new album is available also in bundle with NOMAD SON "First Light / Pilgrimages of Doom" CD/DVD (see the next post from today for details) and with the T-shirt (see below). All pre-orders will be shipped on September 2nd. And, as always, those who don't collect CDs, can pre-order the album as digital download (in lossless formats) from our Bandcamp page. Later on it will be distributed digitally by CD Baby and made available also from iTunes, Amazon MP3, eMusic and other retailers. Apart from the CDs, we have produced T-shirts with the new album art. We have 21 T-shirts available in all standard sizes (S, M, L, XL and XXL). They are now added to our online shop, where you can see also the back print design. You can get them in a convenient bundle with "The Darkening" CD, so check our SHOP page for details!